Whatever do you suppose is in those wooden barrels? 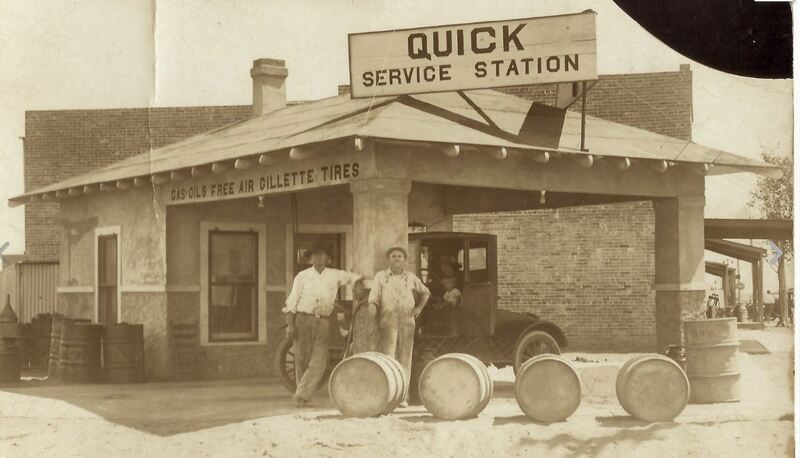 Gas, Oil, Free Air and Gillette Tires, what more could you ask for? I would guess it's gas in the barrels since I don't see a pump. Only alcohol,right Charley? I have one of these same steel barrels embossed 1916 if anyone needs one for their retro filling station. Where is the gas pumps? On the right side of the building?